Grrr ... not sure how SquareSpace wants me to link files ... I'll look into it. Sorry. Thanks! I think I fixed the links ... turns out I had hotlink protection enabled. I still can't embed them with the img tag ... I think because the links don't end in .jpg. Oh well. Links are okay for now. balistic, cool, I remember that chair scene. durgl, how's it going with the story? I still experiment every now and then, 3d is too time consuming though. "In May, I�m starting to work for the Blender Institute again. Besides maintenance, bug fixing, release work, etc, my big target will be modernizing the shading and render system. We haven�t worked out the exact plans, but this is roughly what I have in mind:"
We'll see. Thanks for asking. Hmm should we revive this section? Here's a displacement map test, been testing with multiresolution settings and smoothing set on rather high to make it well yea lol smooth. a door handle made for a speed activity that I am running on another forum, messed up the topology with trying another workflow. Was a pretty decent workflow though so it is what it is lmao. I guess we can post something from time to time. That scene looks awesome btw durgldeep. A dumbbell made for speed modeling, 1 hour. Added a blog again to my site, I actually think it works better now for some reason. Perhaps I should look at things long term and not in a quick solution way. 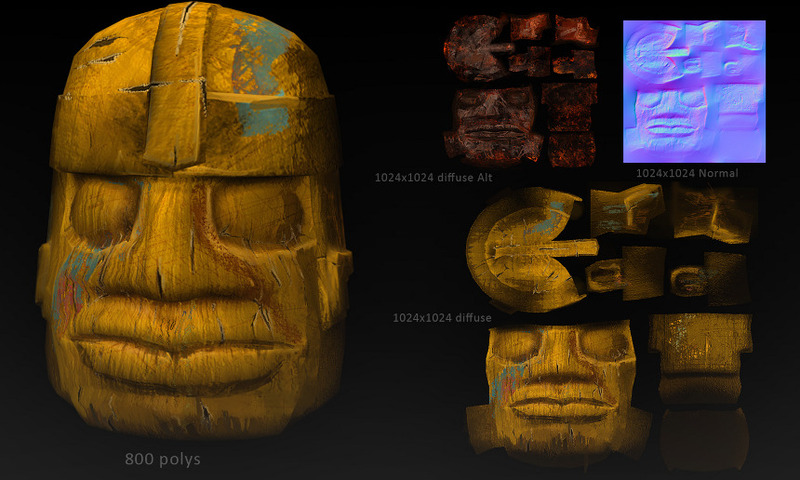 Quintus : the displacement test are awesome, I love the texture ! zm: love the little tree. ZM, thank you. wonderful stuff you got there, hope to see some more. 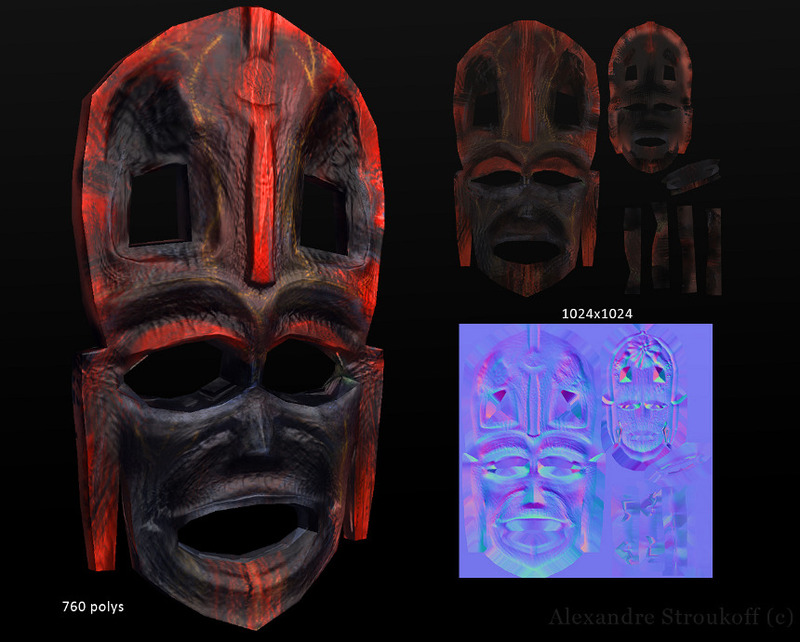 texture painting test on sculpt, I have been starting to see this stuff as a speed activity. ///Edit, had to make a new render since it became really strange the one that I posted before. lol must have been tired as hell last night. (fixing them is another issue). Kudos. I started playing with 3dsmax lately. Here is some result. T_England, Hey nice to see you again man and thank you for the comment and the welcome. Funny this that I seem to be getting back and forth from this forum, maybe all a part of the process...? Not sure if you have been following my blog but the goal was and perhaps is to make a better foundation in work with a 3d base and then polish the intended piece with 2d. There's a real steep learning curve with 3d though, many different of them as such aswell, concept, posing and detailing that takes almost too much time on a lamens terms activity to learn properly. This at the same time makes the direction confusing cause you might wanna break down some elements in the scene, harder with 3d to do that easy....hmm.... I found the detailing being limited with blender, they will make this better in the next version though so I really look forward to the next Blender update. I agree with you here with working in both 2d and 3d, there's much to gain from both I believe. Love the sandbuggy you have here, is this a concept all the way? Hi guys, very cool concept model Mathew I do check your blog from time to time I agree about the learning curve and it is incredibly time consuming, I used the packages quite a lot in 04-08 while at uni so that probably helped. Its amazing how much faster it is to sketch and paint though which is part of the reason i stopped 3D in the first place lol. The dune buggy I started with some quick drawings, not very pretty. Lemur: Here's some pretty cool stuff! T_England, cool concepts, gonna be interesting to follow this project. I love the model already. Ah yes dune buggy, lol I blame my poor English. Lemur, at first just make it a practise like a speedpainting. I found out about the learning curve that it is good to just make your mind up about what you wanna model and then try to learn things as you go along with the project. Well lol I do approach things in the wrong order I believe, these days I just keep getting worse no matter what I do. I'd like to join the 3d club also. Sketchup & 3DS Max are my weapons of choice and here's an ATV for those rugged off-world terrains. p.s. As shameless self promotion, I have to note that there's a bit more 3d in the Genesis thread.